John has been an avid computer and console video gamer since the Atari 2600 and his collection of Sierra Entertainment games (King’s Quest, Police Quest, Space Quest, etc). By the third grade, to cement his rightful place in general geekdom, he became the president of his elementary school’s Computer Club. Not long after, friends in his neighborhood introduced him to tabletop roleplaying games like Battletech, Greyhawk, and Ninjas & Superspies. Moving away, he lost touch with the roleplaying community until, in college, his future brother-in-law started a Warhammer Fantasy Roleplaying group and invited John to join. Since that time, he has been heavily involved in the RPG community in one way or another, from laying-out Dark Skull Studio’s The Bloodfire Territories to serving as Assistant Regional Storyteller for the state of Texas in the official White Wolf fanclub, The Camarilla and writing submissions for White Wolf Fanzine in the early-2000s. His first experience with podcasting came after he met Roxanne in 2015 and she would play them when they would take road trips. 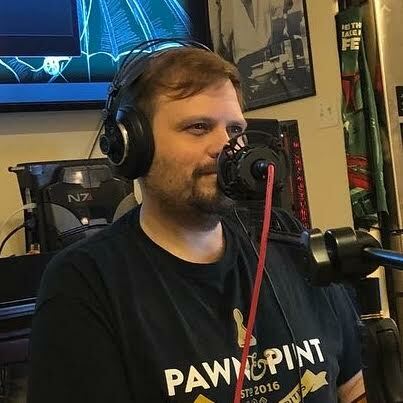 Passionerdly was the integration of three of his former blogs, “The Nerdy Side”, “The Nerdy Couple”, and “The Nomadic Nerd” and podcasting felt like a natural evolution that would allow him to share his enthusiasm for tabletop gaming with a whole new audience.